While Charmer was on hiatus (Joel in Germany), Dudley-Brian worked in Boulder, Colorado again, and then utlimately in Nashville with engineer/drummer Richard Courtney. A series of demos failed to garner attention from those in Nashville based on their 'new folk' stylings. Returning to Baton Rouge, Dudley-Brian released four of these independently produced song tracks as an EP (extended play 33 1/3rpm record) on Lunatunes. 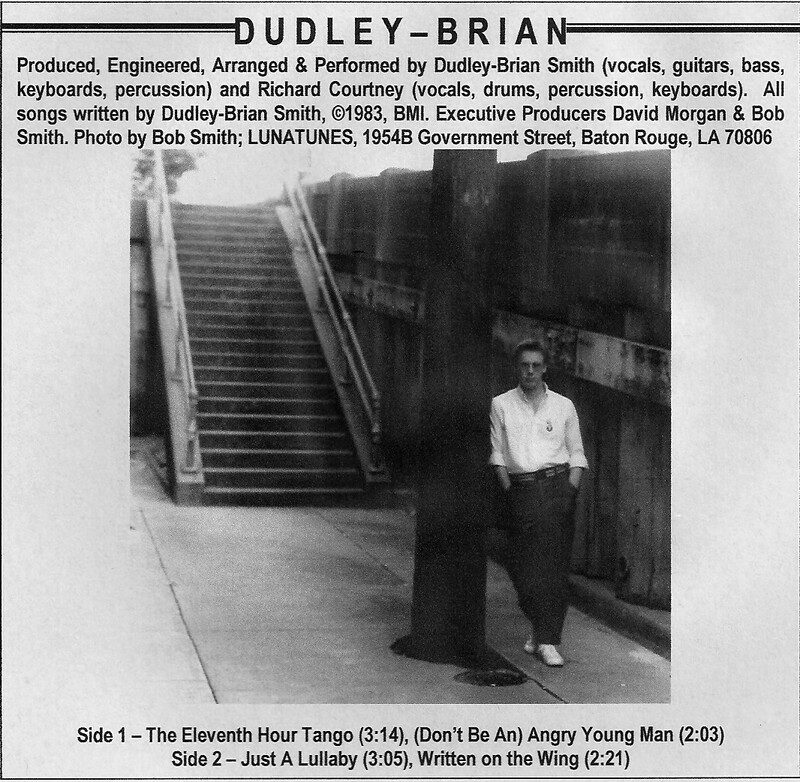 The EP received some good airplay on college stations, and Dudley-Brian continued performing as a solo act. The Eleventh Hour Tango, Don't Be An Angry Young Man, Just A Lullaby, Written On The Wing. All songs written by Dudley-Brian Smith and performed by Dudley-Brian Smith (vocals, guitars, basses, keyboards, percussion) and Richard Courtney (vocals, drums, percussion, keyboards).